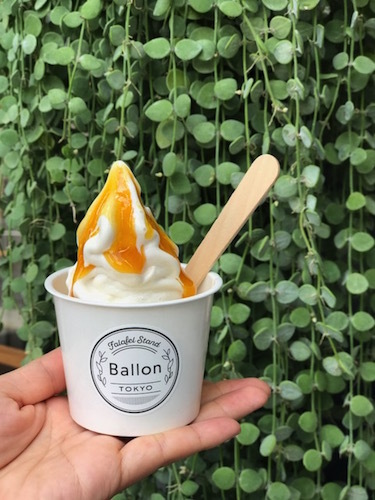 The Ballon Tokyo has opened on the 30th June. 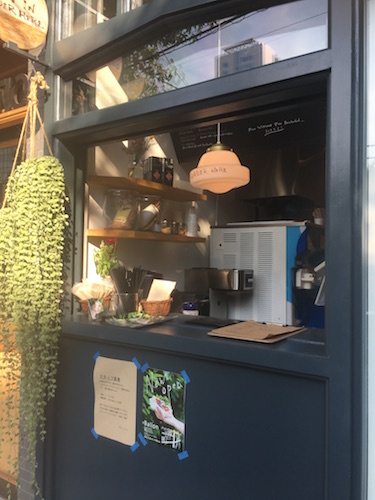 It’s a specialized store selling 100% vegan falafel and soft serve ice cream. Falafel is a Middle Eastern dish similar to mini sized croquette using mainly chick peas. The store wishes to provide customers with convenient, tasty, healthy, and also environmentally friendly food. As one of the dietary options, they have selected vegan food. 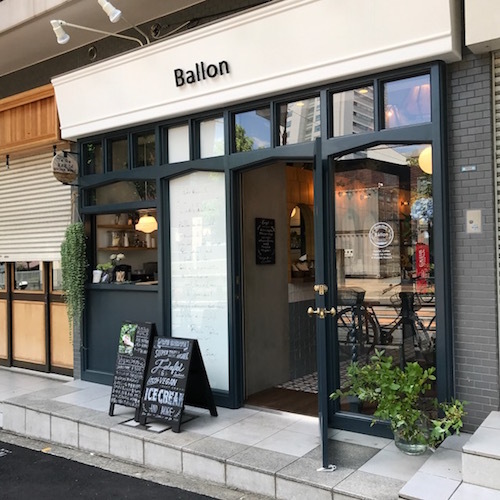 Based on the above ideas, the Ballon Tokyo has opened the store. In a short time after it has already become a popular store with many people returning there for their food. I can’t sit around! As soon as I heard about the store I rushed to see it in Nakameguro. Click here for location and detailed information on Ballon Tokyo. 2 Crispy outside with a little moisture, soft and smooth inside! You can have fun with these textures. 3 What is the secret of the refined flavor of soft serve ice cream? The store is only 5 minutes walk from the nearby train station. 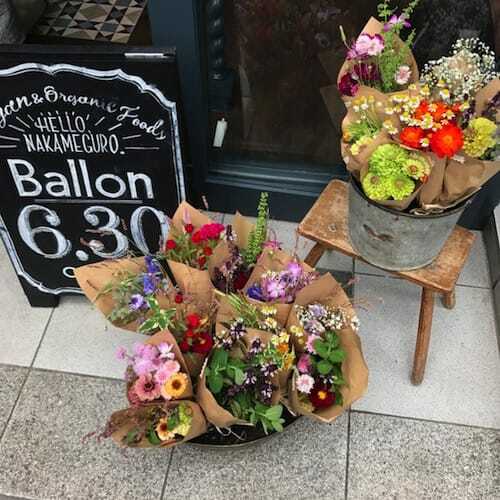 As you walk along Komazawa street, your eye is drawn towards the fashionable appearance of the store as if it’s a fashion magazine photo shooting location. The owner took the architect to visit Paris and the store was designed to recreate a Parisian atmosphere. The inside of the store has a lot of flower bouquets. All flowers are organically sourced and the colors are very natural. 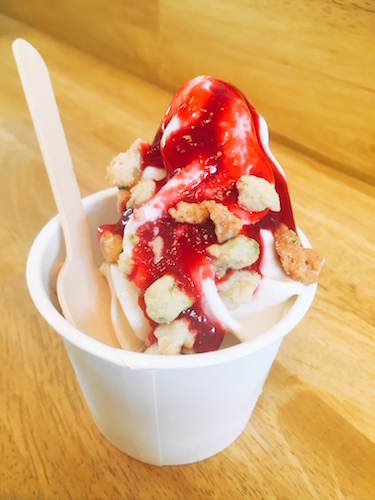 It is soft serve ice cream and a 100% vegan!? There is no reason for you not to try this. So I ordered one. Order is placed at the counter. One of the friendly staff members Ms. Onda showed me around the store. 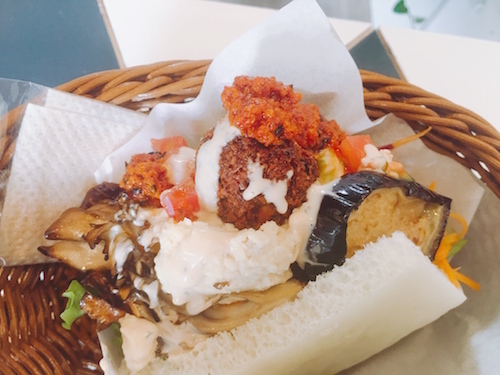 All of the accompanying salads to the falafel are prepared in the store. Her eyes lit up when she talked about falafel and about the store. I could tell that staff like her are so proud of the items they are selling. It is no doubt that there are already a lot of returning customers only 1 week since the opening of the store. Sophisticated lighting and interior decoration. Plants were found everywhere inside the store. 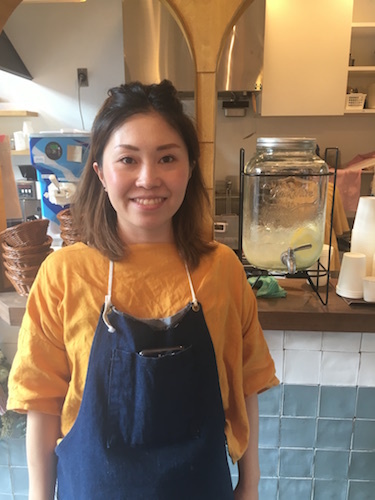 It has a friendly atmosphere for individual female customers who wouldn’t normally go to a restaurant alone. Crispy outside with a little moisture, soft and smooth inside! You can have fun with these textures. 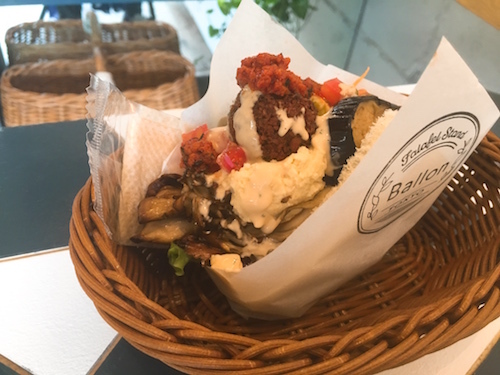 I ordered a small size falafel (500 yen), from range of options of large, regular, and small. All falafel, pita bread and the accompanying salads are made for a vegan diet. The wrapping paper had a pretty logo and it was exciting just to hold it! I was surprised that even the smallest sized option had this much volume! The falafel has a crispy texture outside with a little moisture and is soft and smooth inside! The pita bread is baked from Focaccia dough and is soft in texture and goes very well with the falafel. Its spicy original sauce has a cumin flavor. Mushrooms are my favorite food and for me the Maitake mushroom filling was yummy! They have a crunchy texture and an intense flavor. There are also marinated carrot and creamy mashed potatoes which make for so many different textures within the pita bread and I enjoyed eating all parts of it at once. What is the secret of the refined flavor of soft serve ice cream? And finally, let me introduce you to the soft serve ice cream! It’s 500 Yen. It has a very creamy texture. It doesn’t taste like a soya milk based ice cream, does it?! When I asked Ms. Onda, she replied “it’s made from a base of soya milk and Amazake (sweet fermented rice drink)”. Wow! It doesn’t have a slight grassy smell or the familiar flavor which is associated with soya milk! It’s been a long time for me in finding a vegan soft serve ice cream that was a hit! This is it! You can add your own toppings for a 100 yen each. 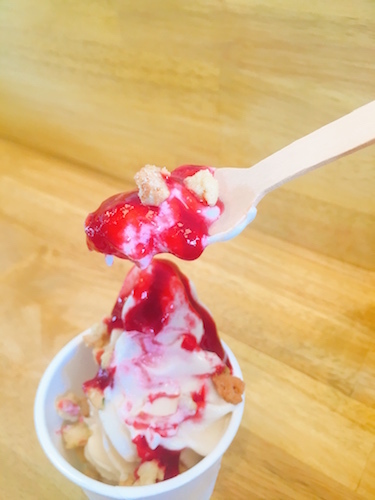 And I chose pistachio and salt crumbles (the most popular No.1 topping), and also a raspberry sauce. Pistachio crumble has a crunchy texture and it goes well with the smooth soft ice cream! Altogether there are 9 different toppings to choose from. Some of the toppings are rare such as chlorella sauce (a special type of micro algae) or passion fruit. All visitors can find something to enjoy with their ice cream. 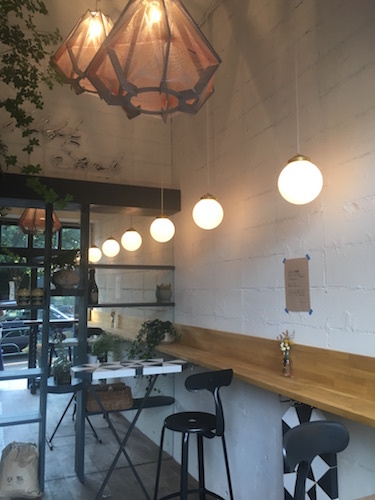 Ballon Tokyo doesn’t use any animal ingredients, nor any chemical seasonings. And dishes are prepared mostly with organic food stuffs. It is good that the tasty food you are casually eating is environmentally friendly as well as delicious. 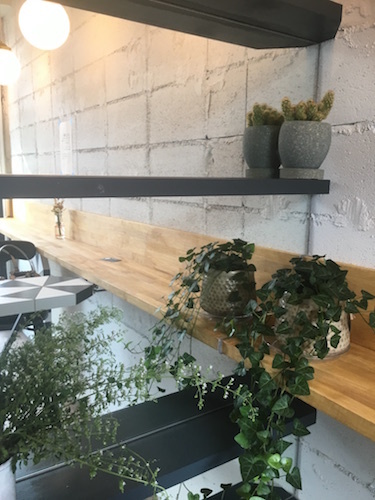 Eating a healthy meal in a stylish restaurant must be good for your body as well as your heart!